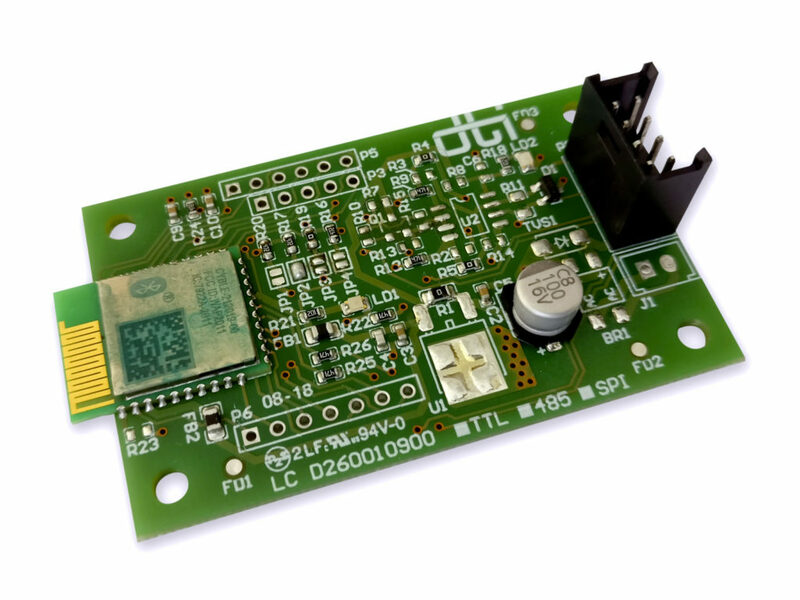 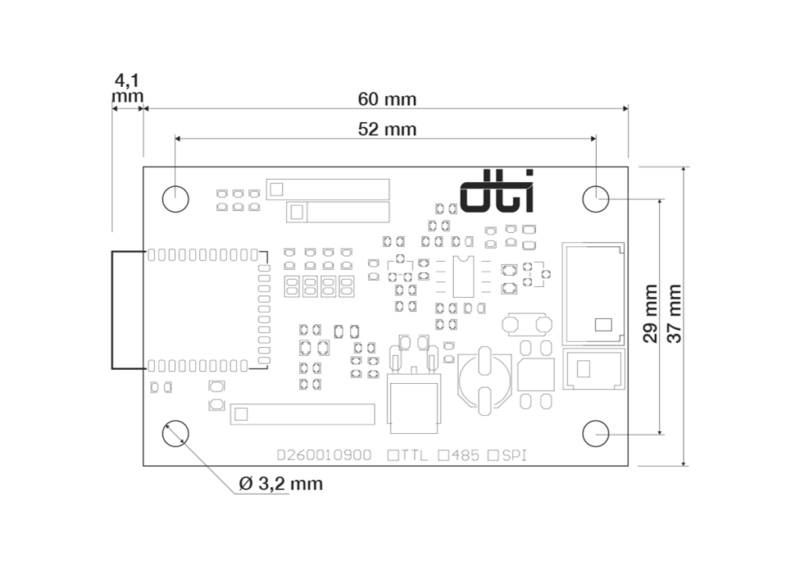 The Bluetooth module BLE 4.2 is powered by a Cypress CYMBLE chip and can communicate with tablet, smartphones and computers (equipped with Bluetooth interface). 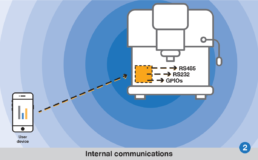 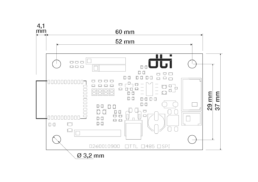 DConnect BLE is highly customizable thanks a DTI proprietary protocol. 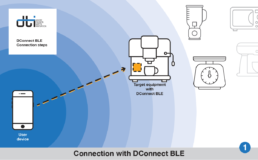 DConnect BLE can be easily switched from master to slave configuration and change transmission speed. 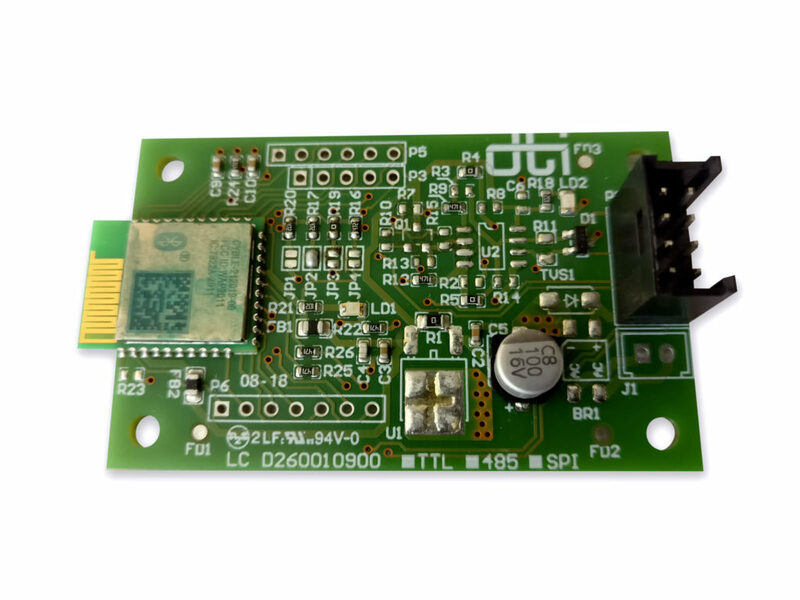 On-board led is lit when DConnect BLE is matched with another device. 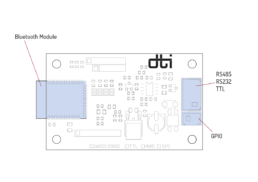 DTI can provide the APP development service, in order to manage both the equipment and DConnect BLE module.